Lion » Brewology - PS3 PSP WII XBOX - Homebrew News, Saved Games, Downloads, and More! Wow, that was fast. 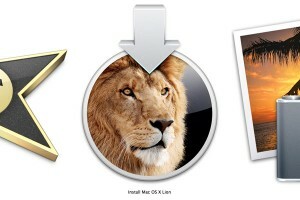 Apple has just released an update to their newest Mac Operating System, Lion. In this update, Mac users can expect general bug-fixes that will be sure to bring happy customers- especially at the paltry 17.4MB file size. UPDATE: New Macbook Airs and Mac Minis get additional updates.